This area covers general maintenance and guitar setup. 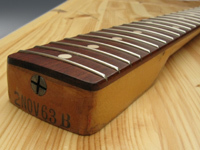 It also covers basic modifications such as replacing tuners and pickup installation. This area covers refrets, neck resets and other major structural work. There are also some complicated repairs in the Strat/Tele section. 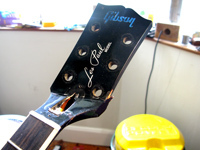 Most headstock breaks can be fixed. 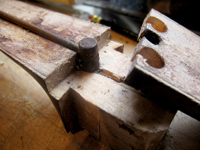 This section is dedicated to the subject and explains the different gluing procedures and demonstrates specially designed clamping fixtures. I’ve worked on many pre CBS and newer model Fender guitars. 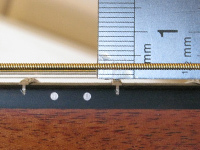 This section covers the tricky task of replacing a damaged fingerboard on any Fender guitar, including veneered fingerboards.